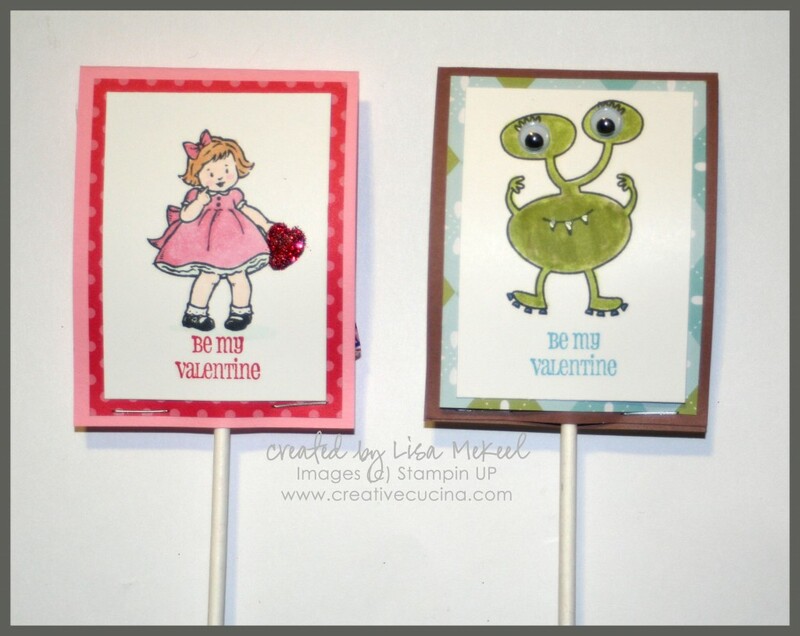 I made this Valentine’s Day card for a swap, using the Greeting Card Kids stamp set. 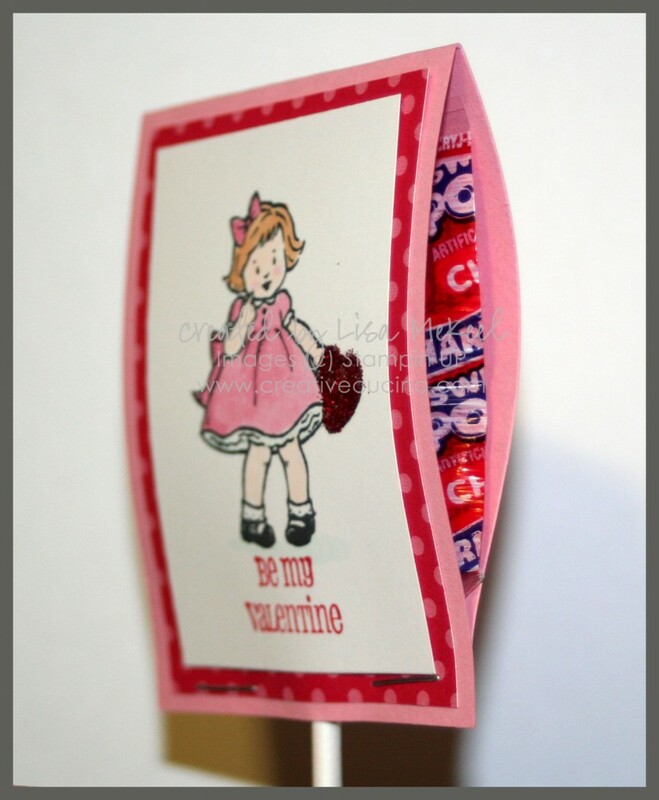 If you recognize the image, I used it not too long ago to make Valentine card treats for my daughter’s classmates. I decided to take off the hearts since it was hiding all the work I did to layer the ribbon! The ribbon is White 3/8″ Taffeta layered with Pretty in Pink 1/8″ Taffeta Ribbon. I wrapped it around a layer of Love Patterns DSP, on a Whisper White base. 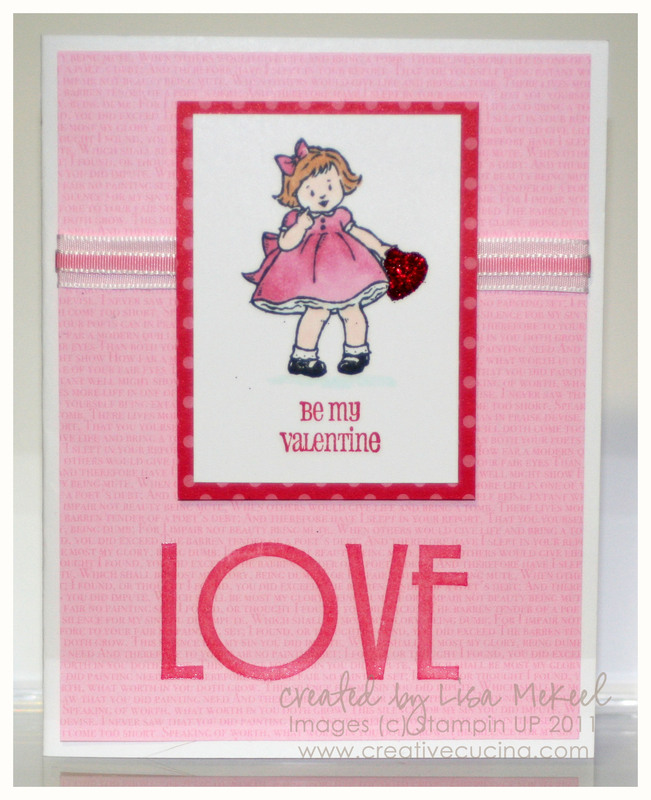 At the bottom of the DSP, I stamped “LOVE” from Filled with Love stamp set in Real Red Craft ink, then heat embossed with Clear Embossing Powder. 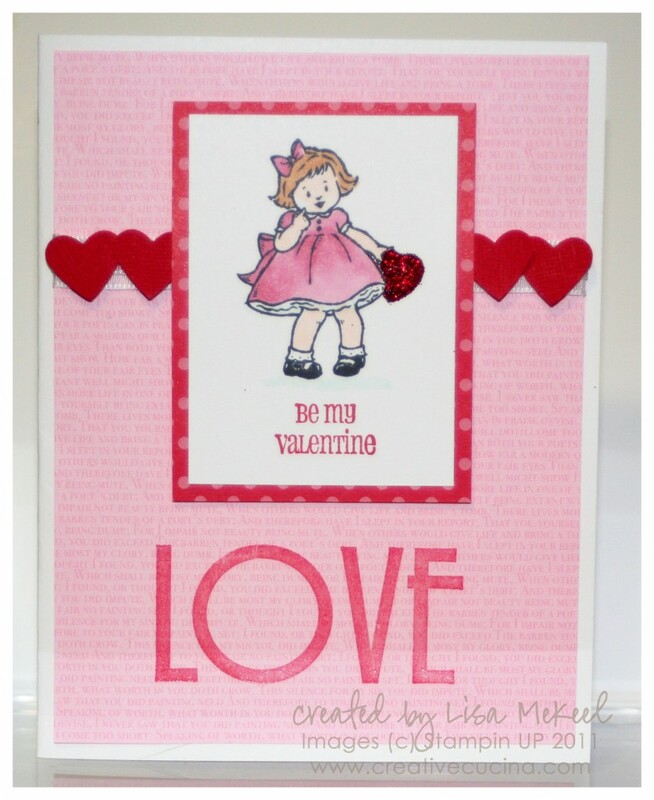 I forgot to take a picture, but inside, I lined the card with Pretty in Pink card stock and added a red heart made with the Small Heart Punch. I made this card for a swap. I normally don’t do Halloween cards but this little girl was too cute to resist. 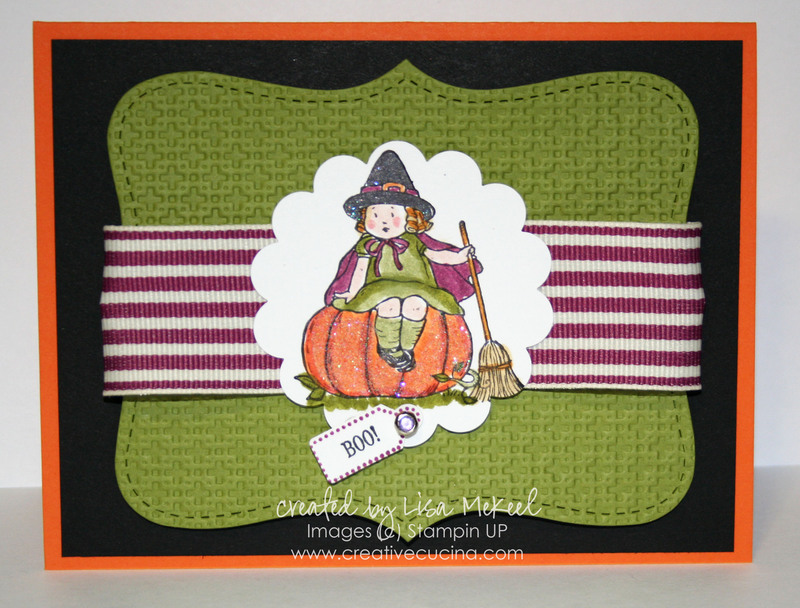 The card base is Pumpkin Pie, layered with Basic Black. Then, I used Old Olive card stock, embossed with the Big Shot and Square Lattice Embossing Folder, and die cut with the Top Note Bigz Die. The ribbon is Rich Razzleberry 1 1/4″ Striped Grosgrain, wrapped around the top note layer. For the main image, I stamped the pumpkin girl from Greeting Card Kids in Basic Black ink on Whisper White card stock. I colored in the image with SU Markers (Dusty Durango, Pumpkin Pie, Old Olive, Pear Pizzazz, So Saffron, More Mustard, Rich Razzleberry, Blush Blossom, Blushing Bride, and Basic Black and Copic Black). After coloring, I used 2 Way Glue and Dazzling Diamonds on the pumpkin. The Black Copic Marker must have been wet still because the glitter stuck to the hat as well. It was an unintended but welcome effect. Then, I used the 2 3/8″ Scallop Circle Punch to punch out the image and attached a little “Boo” tag with a Circle Rhinestone Brad. 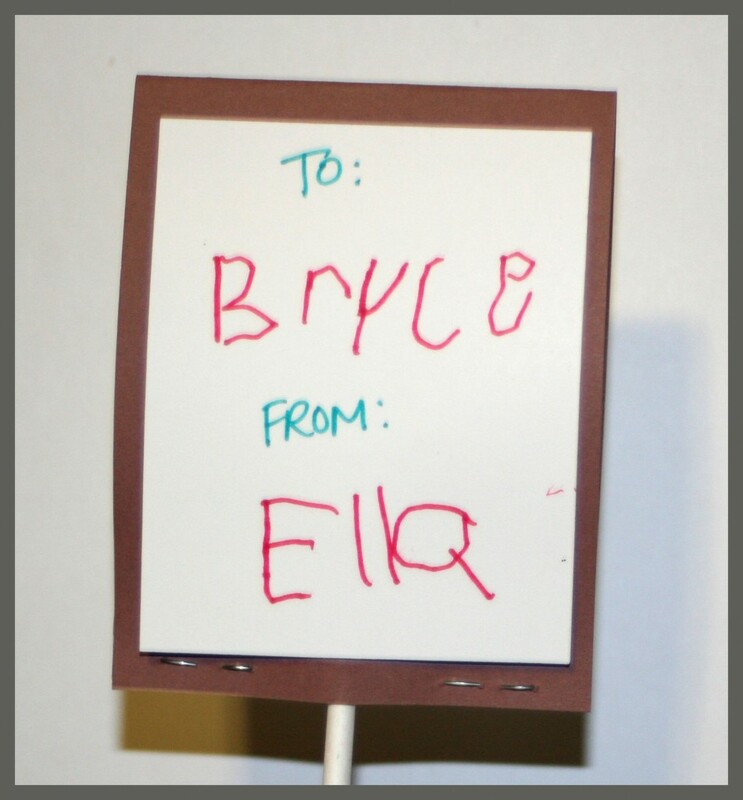 The “boo” is from Tiny Tags and the punch I used is the Tiny Tag Punch.